Quashing an amendment made in a Uttar Pradesh state law to permit former Chief Ministers to occupy government bungalows, the Supreme Court in a significant ruling held that such a legislation is "arbitrary, discriminatory and unsupported by the Constitution". The SC thereby struck down Section 4(3) of UP Ministers (Salaries, Allowances and Miscellaneous Provisions) Act. The judgment meant that such laws passed by all states remain scrapped and no former Chief Ministers in India is entitled to government accommodation. "Such laws create a separate class. Once a public servant demits office there should be nothing to distinguish them from a common man", ruled SC. “Whether retention of official accommodation by the functionaries mentioned in Section 4(3) of the 1981 Act after they had demitted office violate the equality clause guaranteed by Article 14 of the Constitution of India? "The preamble to the Constitution of India embodies, inter alia, the principles of equality and fraternity and it is on the basis of these principles of equality and fraternity that the Constitution recognizes only one single class of citizens with one singular voice (vote) in the democratic process subject to provisions made for backward classes, women, children, SC/ST, minorities, etc. A special class of citizens, subject to the exception noted above, is abhorrent to the constitutional ethos". "It is, therefore, axiomatic that in a democratic republican government public servants entrusted with duties of public nature must act in a manner that reflects that ultimate authority is vested in the citizens and it is to the citizens that holders of all public offices are eventually accountable". "It is, therefore, axiomatic that in a democratic republican government public servants entrusted with duties of public nature must act in a manner that reflects that ultimate authority is vested in the citizens and it is to the citizens that holders of all public offices are eventually accountable. Such a situation would only be possible within a framework of equality 13 and when all privileges, rights and benefits conferred on holders of public office are reasonable, rational and proportionate". "Undoubtedly, Section 4(3) of the 1981 Act would have the effect of creating a separate class of citizens for conferment 28 of benefits by way of distribution of public property on the basis of the previous public office held by them. Once such persons demit the public office earlier held by them there is nothing to distinguish them from the common man. The public office held by them becomes a matter of history and, therefore, cannot form the basis of a reasonable classification to categorize previous holders of public office as a special category of persons entitled to the benefit of special privileges". "Recognizing former holders of public office as a special class of citizens, viewed in the aforesaid context, would appear to be arbitrary and discriminatory thereby violating the equality clause. It is a legislative exercise based on irrelevant and legally unacceptable considerations, unsupported by any constitutional sanctity. 40. Consequently, we hold that Section 4(3) of the 1981 Act cannot pass the test of Article 14 of the Constitution of India and is, therefore, liable to be struck down". 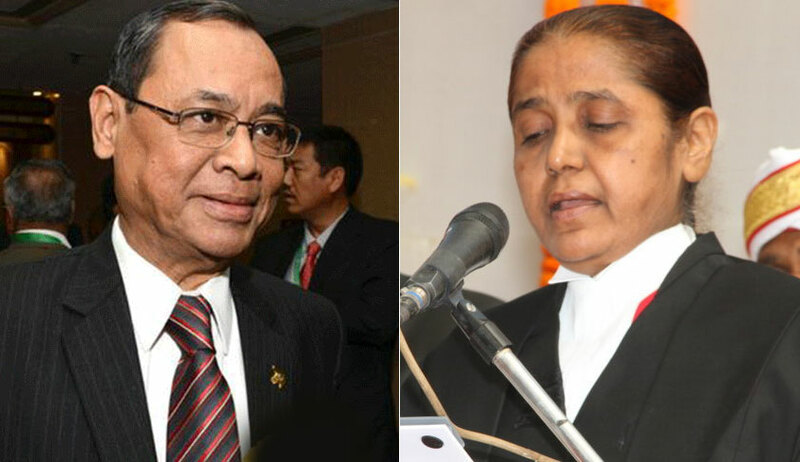 A bench of justices Ranjan Gogoi and R Banumathi was delivering judgment in a PIL by NGO Lok Prahari challenging amendments in the state laws allowing former chief ministers (CM) of Uttar Pradesh to continue occupying government bungalows. The NGO argued that in its verdict in August 2016, SC had held that allotment of government bungalows to former Chief Ministers was bad in law and they should hand over possession of the bungalows occupied by them. The amendments were made only to circumvent the SC order, it said. The judgment said: " We had set out few questions for determination. Whether retention of official accommodation by such former public servants after they demit office is violative of the Constitution. "We have extensively relied on the preamble of the Constitution which embodies the principle of equality and recognizes only a single class of citizens." "In a democratic republic government, public servants must act in a manner that ultimate authority is vested in its citizens". On January 17 the Supreme Court had said it will hear the law officers of the central government before considering the plea of amicus curiae Gopal Subramanium to expand the ambit of plea to ban ex-Chief Ministers of UP from occupying government bungalows and make it applicable to former Presidents and Prime Ministers too. Subramanium had submitted that “a person after he demits public office is not entitled to occupy any public premises for personal use”. "It is submitted that once an office-holder (President, PM, CM, etc) demits office, he or she ceases to be an occupant of that public office and is, therefore, shorn of all its adornments. He or she reverts to being a citizen of India, and ought to be granted no greater privilege than that accorded to other citizens of India, except for the minimal courtesies of protocol, pension and other regular post-retirement benefits," Subramanium's note says. “While the present matter relates to an attempt by the State of Uttar Pradesh to overcome the judgment in Lok Prahari v. State of UP which quashed the allotment of Government bungalows to former Chief Ministers. The matter raises a substantial question of law: Whether the equality clause contained in Article 14 of the Constitution of India enables public houses to be retained by persons even after they demit office?”, Subramanium had submitted.